In a game for which the outcome seemed clear early, but whose point difference would affect both teams, Real Madrid took a 81-55 home win Friday against visiting Lokomotiv Kuban Krasnodar. The victory left Madrid tied with CSKA for first place in Top 16 Group F, both with 11-2 records, but enhanced its chances to win a tie-breaker if both teams win or lose next week. The exact opposite was true for Lokomotiv, which remains tied for the group's fourth and final playoff spot with Galatasaray Liv Hospital Istanbul, both with 6-7 records. In both pairs, the teams are 1-1 against each other with identical head-to-head victory margins, so the next tie-breaker is overall point difference in the group. Due to CSKA's 86-85 victory over Galatasaray earlier Friday, Madrid now has a +23 tie-break advantage with one game left. Conversely, its big loss means that if Galatasaray wins at home against last-place Partizan NIS Belgrade next week, Lokomotiv must also win against FC Bayern Munich - but by at least 24 points more than Galatasaray wins. Madrid raced ahead by double digits in the first quarter on Friday then used a 16-0 second-quarter run to go ahead 40-14 and never look back on the way to victory. Felipe Reyes came off the bench to pace the winners with 15 points while Sergio Rodriguez and Sergio Llull added 13 each. Salah Mejri sparked that second-quarter run with 3 of his 5 blocks and scored 8 points. Richard Hendrix led Lokomotiv with 17 points and 9 rebounds, whilel Alecs Maric added 12 and 7, respectively. 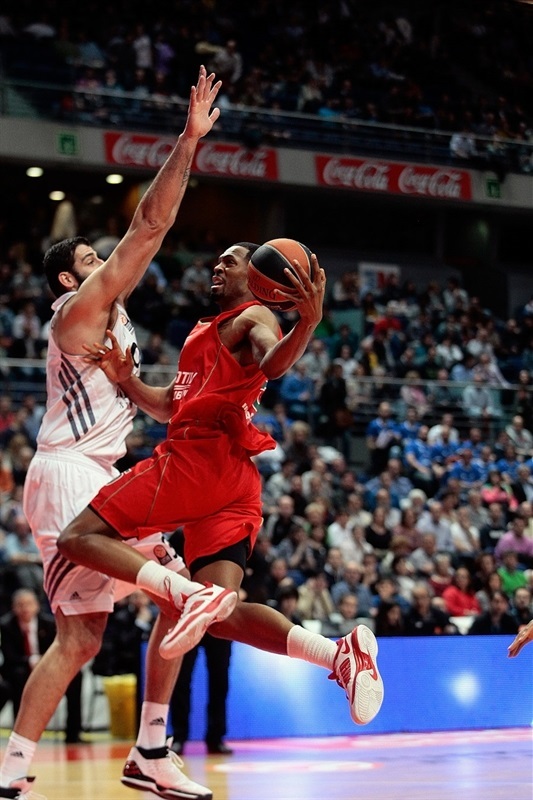 The Madrid defense held Derrick Brown to 4 points, matching his season low. Llull dropped a smooth jumper and Hendrix put back an offensive rebound to get their teams on the board. 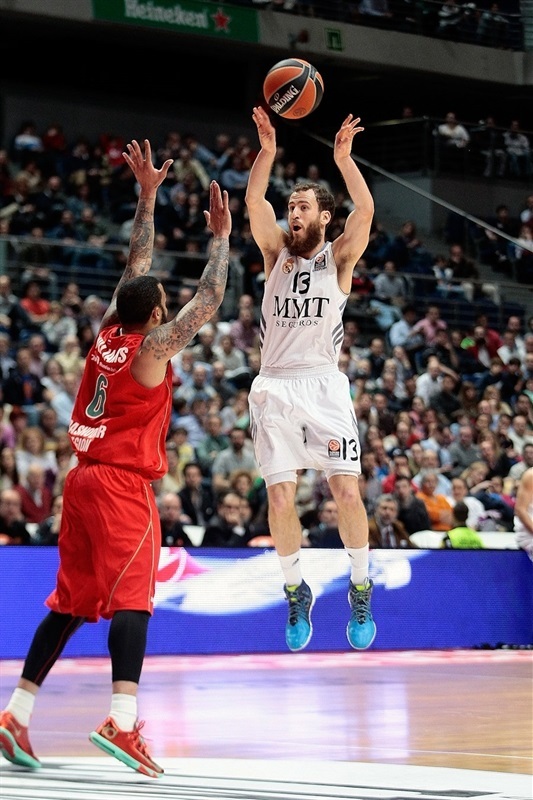 Otherwise, defenses ruled until Mirotic's free throws and assist to Ioannis Bourousis send Madrid ahead. When Llull buried a fastbreak triple, Madrid was up 9-2. After a Lokomotiv timeout, Brown hit a jumper and Maric came in to drop a hook that got the guests within 10-6. Fernandez responded with a driving layup before Dani Diez stole and finished a break. Lokomotiv found a new scorer, too, in Marcus Wiliams, who just entered, but Reyes made 2 intentional foul free throws and scored on the added possession to finish the quarter with its first double-digit lead, 19-8. 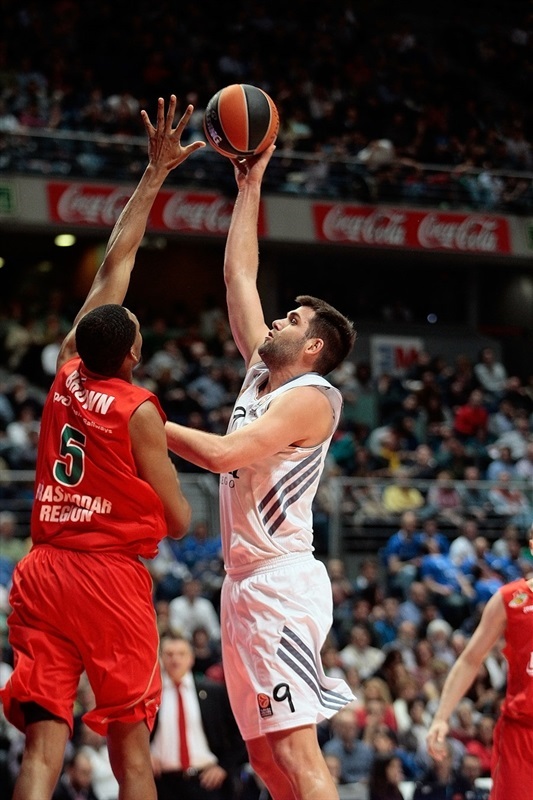 Mejri's spread-eagle block highlighted Madrid's early second quarter, but Mantas Kalnietis of Lokomotiv scored first on a fastbreak. Mejri answered with a reverse and, despite missing the accompanying free throw, dunked the second chance. When he was left open, Rodriguez started his scoring with a triple and Diez followed with another steal and fastbreak as the score ballooned to 27-12. After another Lokomotiv timeout, Mejri blocked Kalnietis and Hendrix leading to fastbreaks by Rodriguez and Llull for a sudden 21-point lead. The two Sergios connected on another basket to make it 35-12 before Hendrix ended Madrid's 16-0 run, but Reyes matched that basket in a matter of seconds and when Mejri stepped out to hit his first triple in the Euroleague, the lead reached 40-14. Lokomotiv finally strung together some points, with Williams hitting the first three-pointer for his team at 40-21. The two teams traded baskets before Fernandez tapped an offensive rebound to Diez for a layup to finish the half with their team in charge, 46-24. 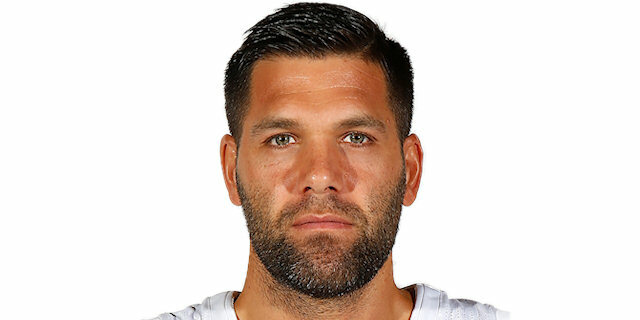 The score was stuck for almost 2 scoreless minutes until Kalnietis drilled a triple to open the third-quarter scoring. Mirotic matched those 3 points with a basket-plus-free throw for Madrid before Hendrix's hook shot cut the difference to 49-29. Hendrix then slammed a pick-and-roll feed and dropped in a put-back, but Llull's layup and Reyes hitting a fall-back and free throw raised the difference to 54-33. Reyes added a rare three-pointer of his own now, before Maric returned with a jump-hook and a bank shot that cut the difference to 20 again, 57-37. 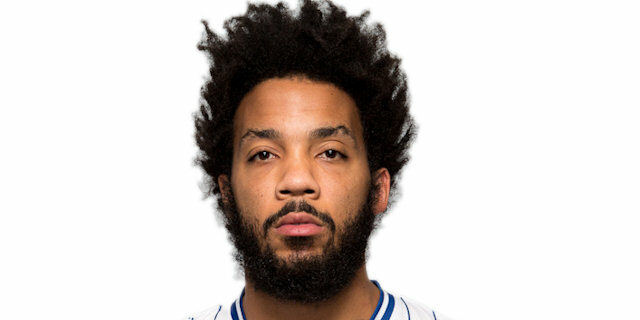 Fernandez had seen enough and promptly drilled consecutive triples around another block by Mejri to match the game's high lead thus far, 53-37. 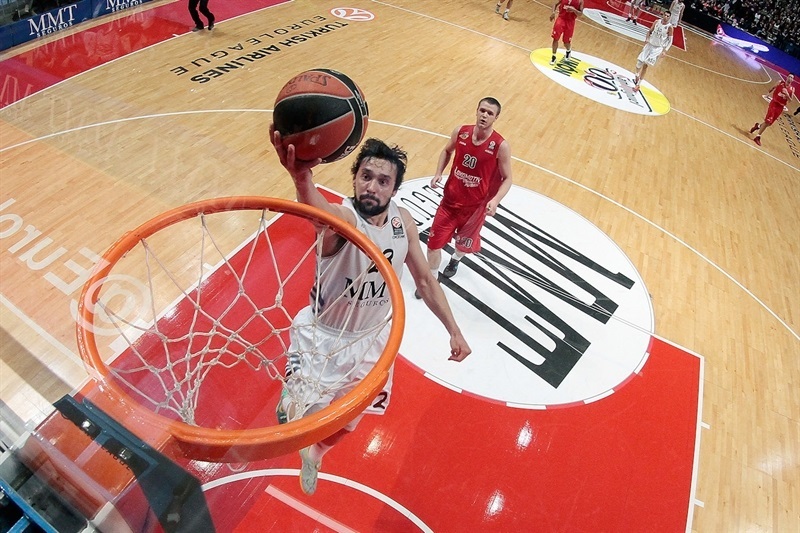 But Kalnietis got a layup and Maric an alley-oop dunk to end the quarter 63-41. Reyes jump-started the final quarter battling for a put-back and free throw combination. Hendrix copied him at the other end, however, to keep the difference at 66-44. Lokomotiv needed to lower the difference win or lose due to its potential tie-break situation in a week's time, but despite another Hendrix dunk, Rodriguez fired in a triple to make it 70-46. 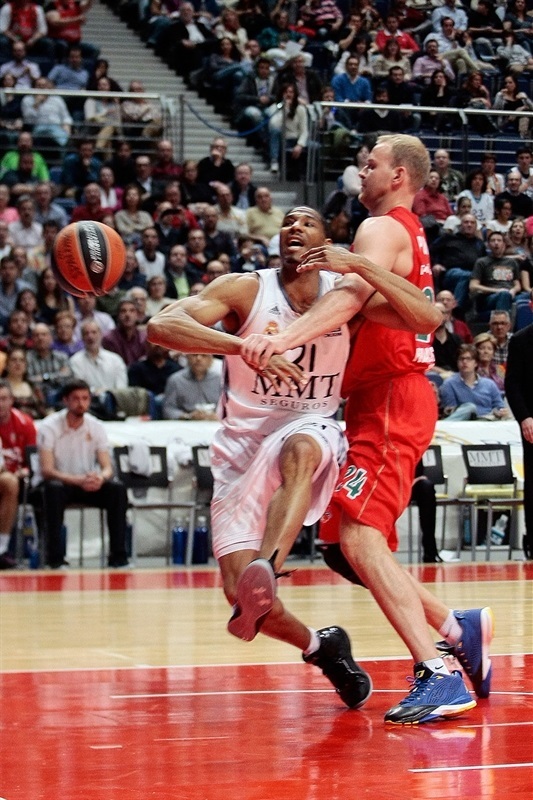 As Madrid relaxed, Brown got a fastbreak dunk, while Hendrix and Williams downed layups to make it 72-52. 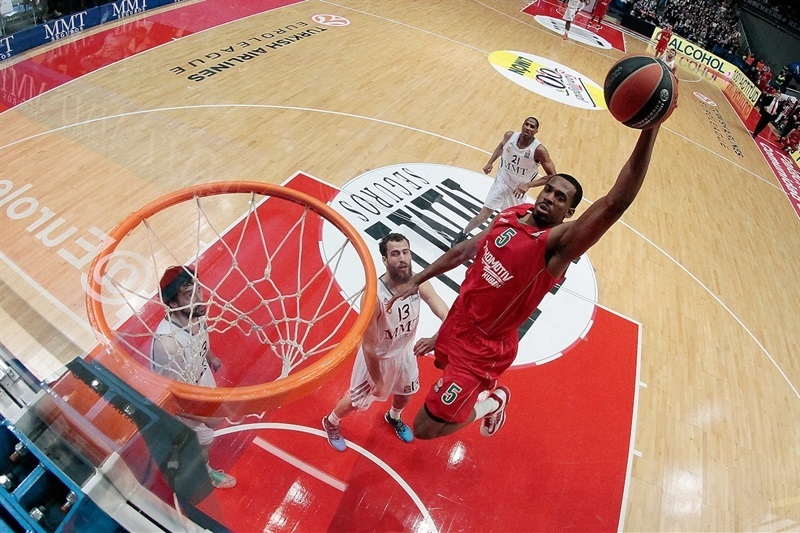 Madrid's need to win big was important, too, however, so the hosts struck back with a triple from Rodriguez and his alley-oop pass to Marcus Slaughter for a 77-52 advantage. Rodriguez's jumper and a layup by Mirotic marked the game's high lead, 81-53, after which Lokomotiv got just 2 points back, complicating its task next week to make the playoffs. "Congratulations to the team for this win. We played at an excellent defensive level in the first half, closing the passing lines and not allowing Lokomotiv any clear option on offense. We managed to limit them to low shooting percentages and managed our lead well in the second half. This week's results show that we will have to travel to Athens in the playoffs. What really matters is that we managed to get the home-court advantage and did it by working hard all season. That is more important than playing against Olympiacos or Panathinaikos." "It was a tough loss for us. Real Madrid did a great job, much better than anything we tried tonight. They were better than us on defense and offense. The work we didn't do well in the first half decided the game. We tried to fight until the end and improved a bit on defense, but not on offense. We now have to think about the decisive game against Bayern Munich." "We had a great first half and played very good defense. 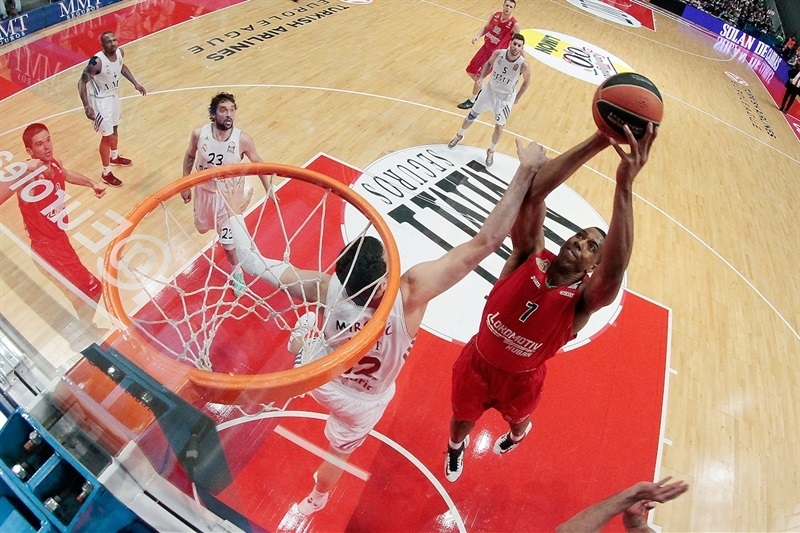 Panathinaikos and Olympiacos are tough teams to play against in the playoffs, but we have the home-court advantage. I am quiet because any Greek team that will come here will have it really hard to beat us at Palacio de los Deportes. The Euroleague is the title I am missing in my career. We have to go step by step, go past the playoffs and think of bigger goals, but it would be really exciting to lift the Euroleague trophy as team captain." "It was probably my best game with Real Madrid. Seeing playing time in this team and doing well is a dream come true. We were keeping an eye on CSKA before the game and knew we had to win by as many points as possible because of the global average. I want to thank our fans for their support." "The key was the first half, in which we lost the game. Real Madrid had a great game on defense and good on offense. We went down really early, even in the first quarter. We have to play tougher next week. Things like that happen and we have to improve against Bayern in order to try to reach the playoffs."